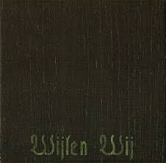 "the band never neglects its central mission objective of creating an overwh..."
"this masterpiece that so perfectly sated my recent thirst for devastatingly..."
"WIJLEN WIJ deliver a hymn to utter misery. This doesn't mean depression, on..."
"Good things are supposed to happen when heavy hitters from a scene get together and collaborate on a project. More often than not said ?project? is all hype and no substance, thankfully that?s not the case here. No, instead we have an original fuzz filled Funeral Doom romp that actually leaves you wanting more. With that being said, have you ever wondered what a hybrid of Until Death Overtakes Me and Pantheist would sound like? Well look no further because you?ve found it! The music contained within this release is just what you would expect from the union of these two bands. This is fairly heavy Funeral Doom Metal. The guitars drone throughout the release while sounding fuzzy. Typically not a sound/effect you?d expect to hear in said style but here it is and it works surprisingly well. The drums are minimalistic and sound programmed (and slightly under rehearsed) in places. The bass doesn?t do anything amazing either but it does add a backbone to the fuzz. The keyboards remind one of ?Long Winters Stare? at least in the first song. One also is reminded of Pantheist both by the way of both keyboards and vocals but that?s not a big surprise given the Kostas? involvement. Over all this is two parts UDOTM and one part Pantheist, using various trademarks from either. The speed is slightly faster than you would expect from a Funeral band. There are some faster moments as well (faster being a relative term here) but over all this is incredibly slow. Over all the production is alright but could?ve been better. This is more or less what one would expect from some of the biggest names in the Funeral Doom movement. This is album is something that grows on you, it's not an instant favorite which makes it more endearing. The atmosphere is very heavy and oppressive, not so much bleak as it is dark but the moods shift from song to song. The opener is rather upbeat (attitude wise) where as the second track is more downtrodden. This album isn?t earth shattering, but this isn?t generic either. Thankfully it appears to be more than just a one-off project too. 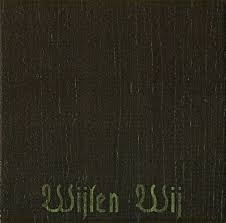 This is worth picking up if your into the extreme end of Funeral Doom Metal. This gets an 8/10"